Good warehouse safety practices are vital for any company, but small businesses are particularly vulnerable if accident or injury should occur. Thanks to advances in modern technology, most notable of which is the internet, businesses and organisations large and small now occupy a level playing field. While this makes it easier for companies to market themselves and make more sales through eCommerce, businesses are still vulnerable if they experience problems of a financial or legal nature — issues that could easily occur if proper warehouse safety isn’t maintained. In this post, we’ll highlight why warehouse safety practices are essential for small businesses. As a business owner, you should do everything in your power to ensure that your employees are safe at work. 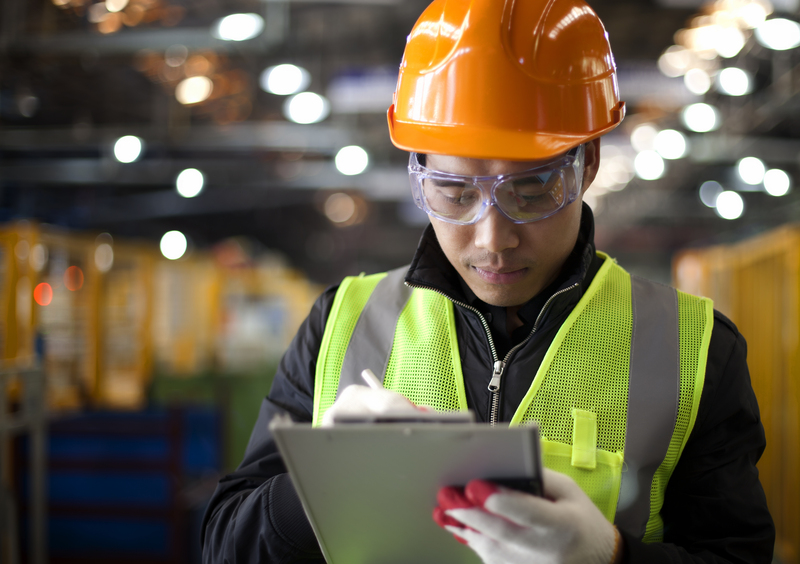 This can prove to be difficult in an environment such as a warehouse, but by implementing thorough inspections and training, you can massively decrease the likelihood of accidents happening. Between 2016 and 2017, over 600,000 people were injured at work in the UK, 39,000 of whom worked in the transportation and storage sector. Accidents including slips and trips, manual handling incidents, and falling from a height are among the most common. These all have the potential to cause serious harm and even death. A death in the workplace is damaging for a company of any size, but, for small businesses especially, the impact it will have on your finances and reputation can be difficult to recover from. At Storage Equipment Experts, our SEMA-approved inspectors carry out professional racking inspections to make sure your workplace complies with health and safety requirements and regulations. We also run one-day training courses that provide business owners and employees with vital warehouse safety knowledge and advice on keeping the workplace safe. Small businesses who use warehouses to store their products could run into serious financial problems if they fail to maintain proper warehouse safety. For example, if your storage system fails or an employee accident causes damage to products because they aren’t properly stored, they could prove expensive to replace. This is a notable risk for small businesses, which tend to work with much lower budgets, leaving little to no room for error. Likewise, if damage to products means that you have to delay or cancel orders, it will have a negative impact on your company’s reputation. In the business world, and especially for local businesses, reputation is everything. If customers lose faith in your brand, they won’t hesitate to purchase what they need from your rivals. When a large organisation appears in the media because an employee has been injured at work, it will leave them with a red face for a while and will make a nice dent in their finances — due to compensation payouts — but, ultimately, you’ll find in time that they recover. An example of this is Amazon, which faced $28,000 fines at the end of last year, due to two employees being killed in its warehouses in the space of two months. While industry-leading companies may be able to endure legal issues and fines, these types of problems could spell the end for a small business. If an employee slips, trips, falls from a height or has an accident while using machinery (such as a forklift) in your warehouse, the legal fallout could prove to be costly. A small business works on a tight budget and relies heavily on its reputation and taking note of warehouse risks could be a killing blow for what is otherwise a successful company. Are you a small business owner with concerns about warehouse safety? Here at Storage Equipment Experts, our SEMA-approved racking inspectors will ensure that your warehouse equipment meets HSE standards. Get in touch today to find out how we can support your safety needs.